With all the fun and excitement of gift shopping and exchanging this holiday season, it is easy to buy the coolest toys and games, but some of them may be dangerous in small hands. We want to point out two items that if swallowed by a child (or anyone for that matter) could lead to injury to the gastrointestinal (GI) tract and may even pose a life threatening risk. 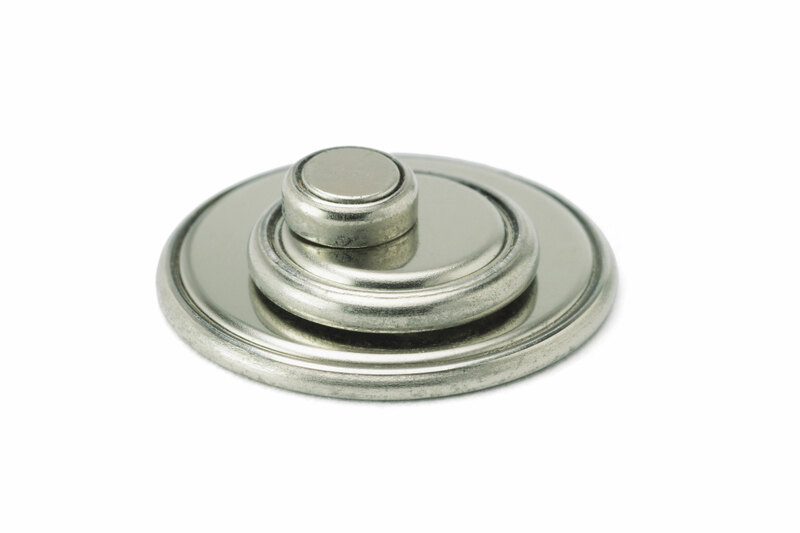 If swallowed, high powered magnets and button batteries may damage the lining of the stomach and intestine to such an extent that an emergency surgery may be necessary. serious injuries, such as small holes in the stomach and intestines, intestinal blockage, blood poisoning and even death.” In the last two years at least 11 cases of magnet ingestions by children of various ages, which required surgical removal, where documented. 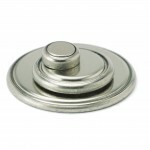 These high powered magnets are commonly found in stress reliever devices and desk toys. Additionally, teens have been known to use these magnets to mimic body piercings as well. 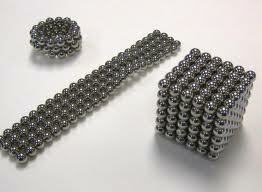 However the sale of any product containing high-powered magnets that are large enough to be swallowed is prohibited in products designed for children under age 14. While gift shopping, consumers must be aware of the hidden hazard of these innocent looking magnets. 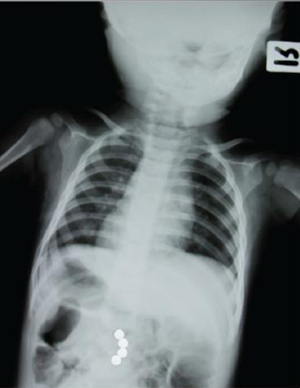 See the CPSC website for tips to avoid magnet ingestion injuries and advice on what to do if you suspect that your child has swallowed a magnet(s). Although swallowed button batteries usually pass through the entire GI tract without harm in many cases, these batteries may lodge or get “hung up” at various spots in the GI tract. If this happens in the esophagus for instance enough electric current may be generated which can cause a serious burn to the tissue. Symptoms of a lodged battery may include abdominal pain, loss of appetite, difficulty swallowing, irritability, vomiting, dark or bloody bowel movements and fever. As with the case of the swallowed magnets, emergency surgery may be necessary. Seven steps on what someone should do if a button battery is swallowed may be found here. Illinois Attorney General, Lisa Madigan recently held a press conference along with other consumer safety advocates at the Illinois Poison Center, to address the very important issue of button battery safety. She also released a safe holiday shopping guide to help you before you hit the stores this season. So please, use careful judgment when purchasing gifts containing these items, and be sure they are age appropriate and properly kept out of reach in homes with small children. Having a loved one spend any part of the holiday season in a hospital operating room is no one’s idea of a happy holiday. The Illinois Poison Center hotline at 1-800-222-1222 serves as a 24-hour resource for immediate consultation regarding ingestion of button batteries and high powered magnets or any other poisoning concern. Don’t forget to check out the “My Child Ate…” resource center which gives toxicity level and treatment information for the most common substances/products ingested by children. From all of the staff at the IPC have a happy, healthy and safe holiday season this year. Last Minute Gifts? Make Sure Toxic Toys Aren’t On Your List! 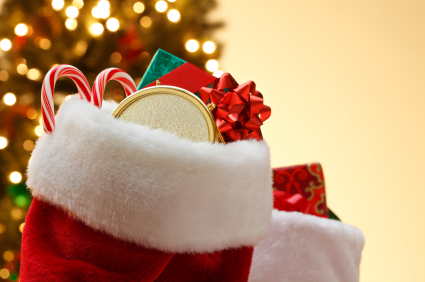 ‘Tis the season for shopping…and giving (to the IPC) while you shop!